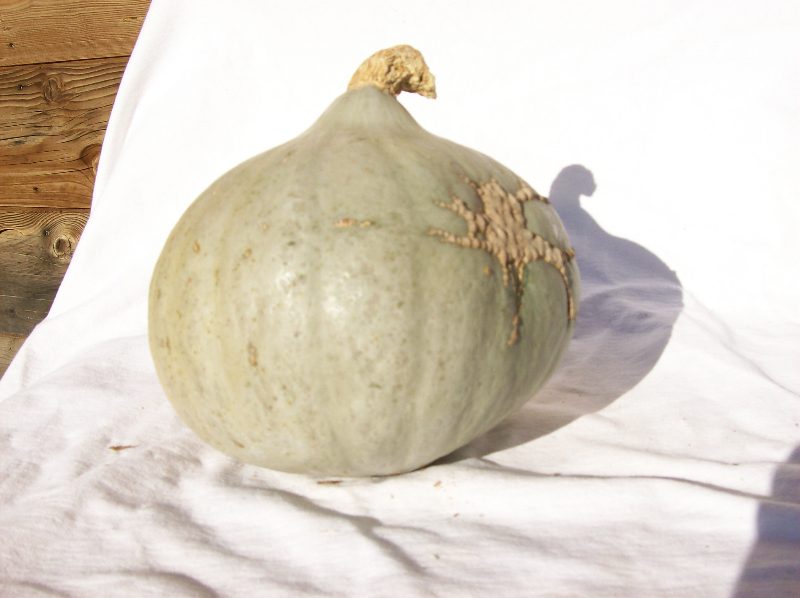 The Blue Ballet Squash is a much smaller version of the Blue Hubbard. 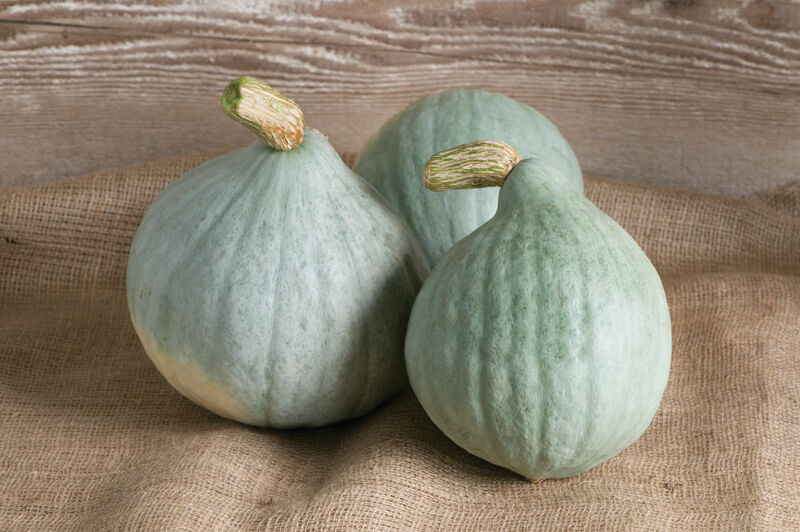 The Blue Ballet produces tear drop shaped squashes that can weigh between 1-2.7kg (2�-6 lbs) each. 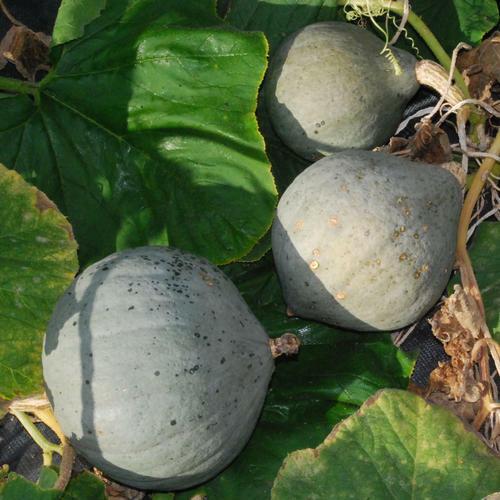 You can expect to get 3-4 squashes per plant. The Blue Ballet plant is considered a semi bush, but can produce vines that are 1.8-3.0m (6-9�) long. Plant height ranges from 30-50 cm (12-20�) tall. 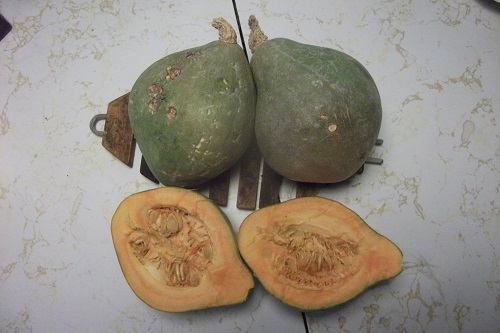 This squash is smoothed skinned, blue gray in colour, turning an off yellow when fully mature or aged. Smaller and more marketable Blue Hubbard average 4�6 lb, two per plant. Smooth blue-gray skin with sweeter orange fiberless flesh.